Shockwave therapy is a non-invasive treatment used by practitioners to treat musculoskeletal conditions that have resulted in persistent pain (> 3 months) and lost mobility, and which have been resistant to conventional treatments, such as lateral epicondylitis, patellar tendinitis, or plantar fasciitis. It is a safe and effective treatment. Most people experience relief after only a few treatments – they are pain free, with mobility restored and are able to return to work and/or sports. 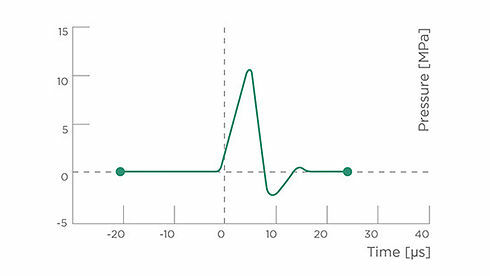 Shockwave therapy is also used in orthopedic conditions such as delayed or non-union fractures and avascular necrosis. Shockwave therapy uses mechanical energy in the form of acoustic waves that increase local circulation and stimulate the body’s healing process. 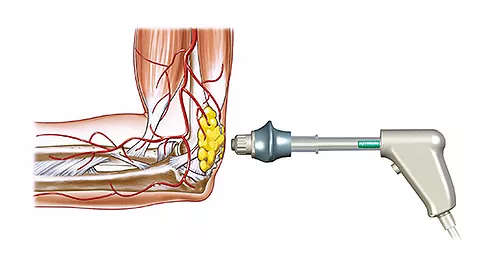 Treatment is targeted on the damaged tissue through the hand held applicator and can enhance breakdown of adhesions, scar tissue and calcification. Each session lasts approximately five minutes.